One Delicious, Healthy Meal a Day! 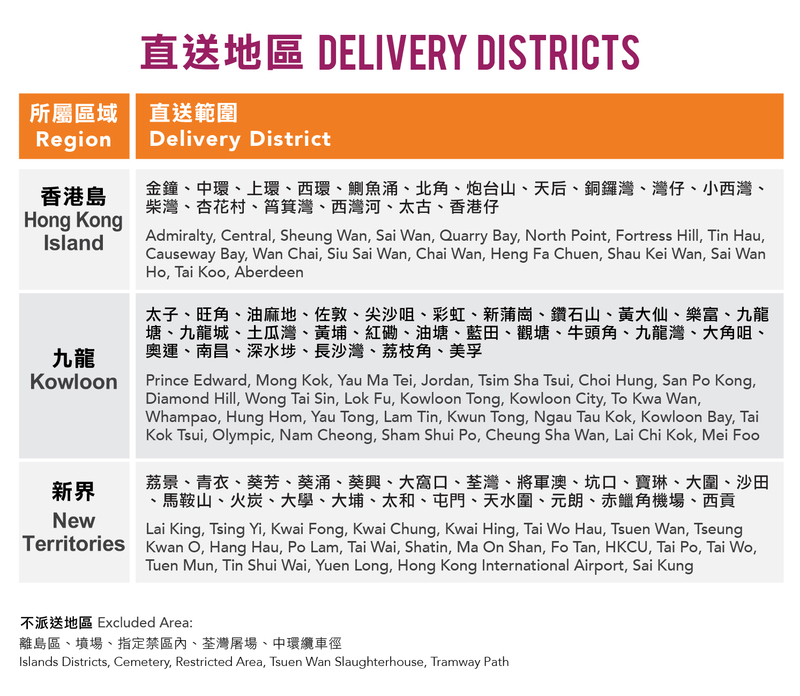 HKD20 DELIVERY CHARGE for a single order. Orders 2 and above, delivery charges will be waived. You can choose all meals in our menu with AMGD PASS. Only salmon and tuna bentos are charged extra $28 each. Orders are limited to only 1 location per timing. Each customer can order up to 6 meals per location. You can order up to 3 meals a day for each Joy pass, 5 meals a day for each Overjoyed pass, 6 meals a day for each Thrill pass, Blissful pass and Happy pass. At the moment, delivery is only available at certain locations. Details please see the table below. Buy 1 or more passes. Check out and pay. AMGD Passes are for individual use only. For group meals check out #eatanywhere for corporate deals. We deliver Monday to Friday, except public holiday. You can select from 2 delivery timings. The cut-off period to place an order is 11.30pm the day before. 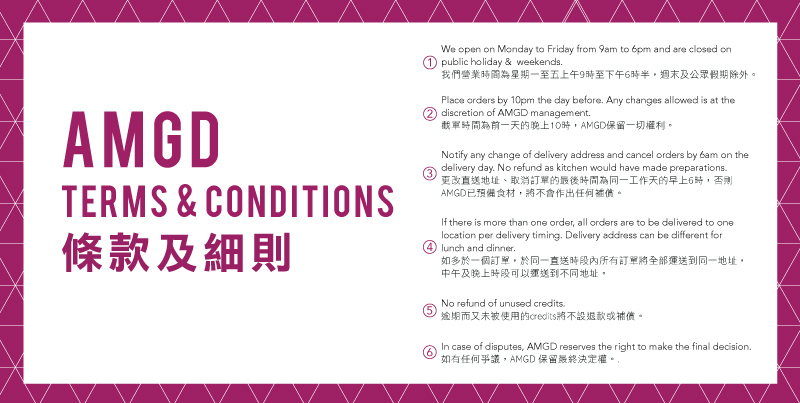 Any changes to your orders need to be requested via email: hello@amgd.hk by 6am on the delivery day. Keep track of your meal credits. Log into “My Account” with your registered email address.